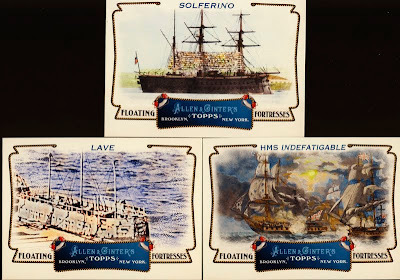 Collectors love Allen & Ginter. There is something about the set that keeps them coming back, year after year. 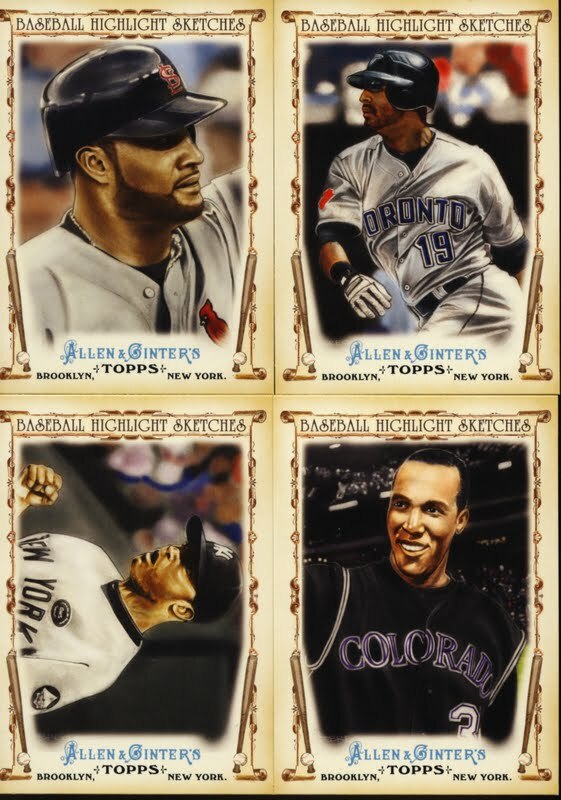 No wonder the 2010 Sports Card Award for Fan Favorite Set of the Year went to Allen & Ginter. There have been some small changes made to the 2011 release, which can be a good thing or a bad thing. In this case the changes worked out well. 2011 Topps Allen & Ginter Baseball is definitely for set builder. 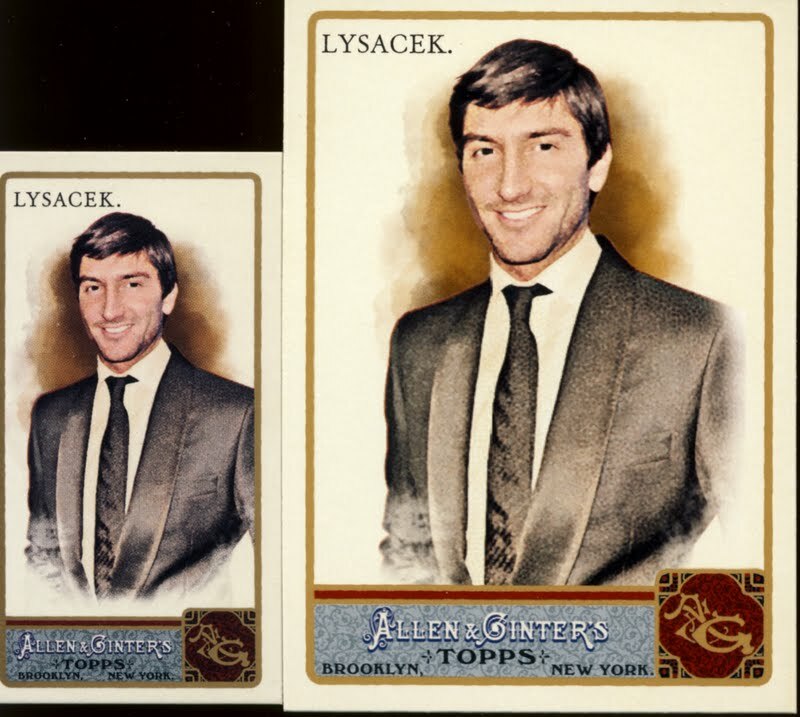 Ginter falls under our classification of trading cards. 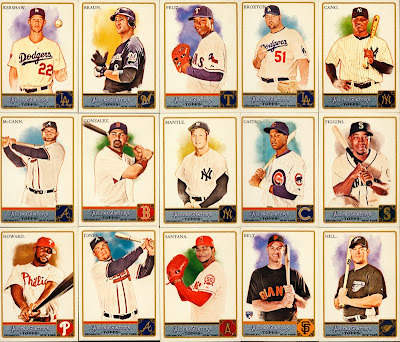 A&G is available in a variety of retail configurations and in hobby boxes that contain 24 packs with 8 cards per pack. Each hobby box yields three hits that include autograph cards, relic cards, printing plates, rip cards or book cards. 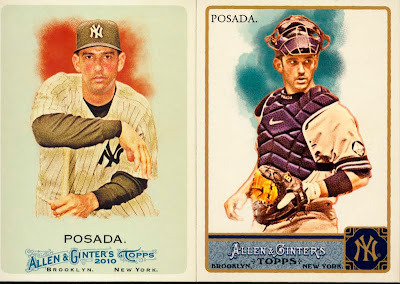 To see the changes to this year's release, here are Jorge Posada's card from 2010 and 2011.
you can see not much has been done differently here. 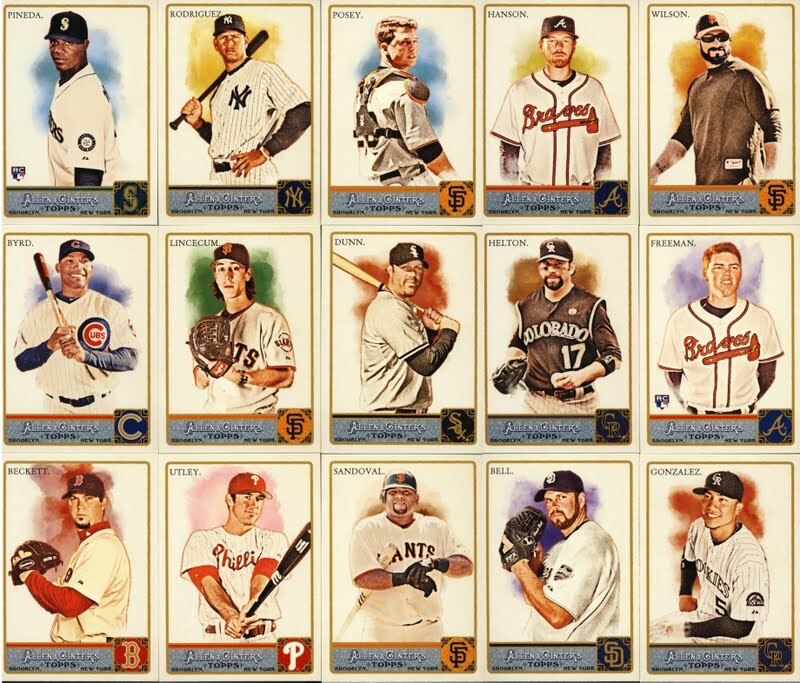 Here are some of the best base card pulls. 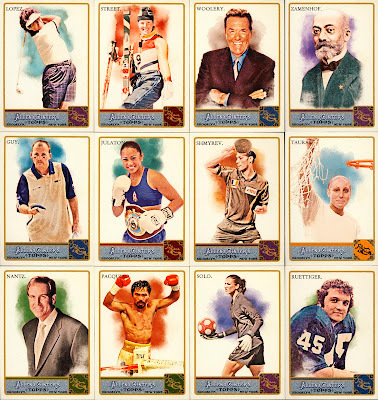 And, of course, there is a variety of famous people from other sports and walks of life. 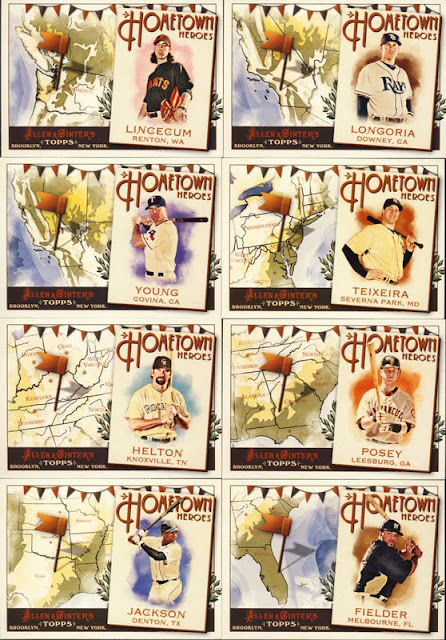 The base set is paralleled in mini versions. This is Evan Lysacek in Mini and Base card versions. Here are the backs of the cards. Same information on both. Some of the inserts for the set only com in mini size. 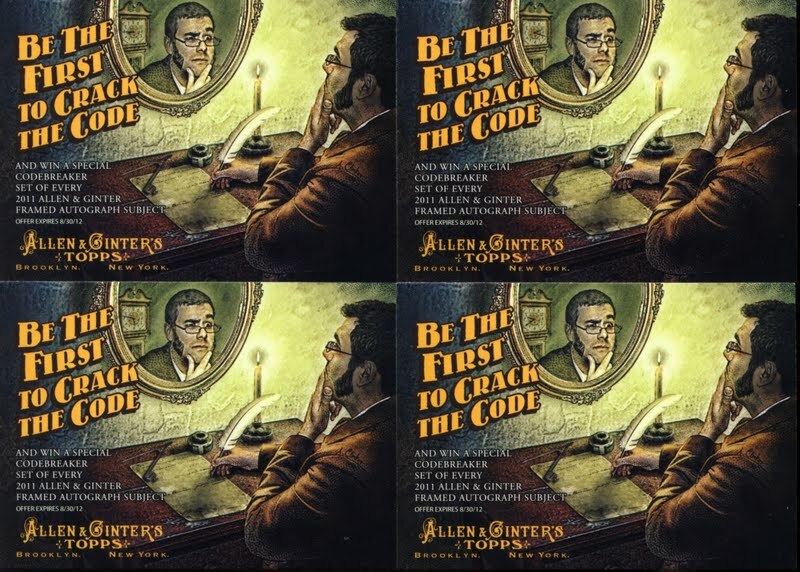 Crack the Code, a contest imbedded in the card set, returns, but this year is tied into a twitter account for additional clues. 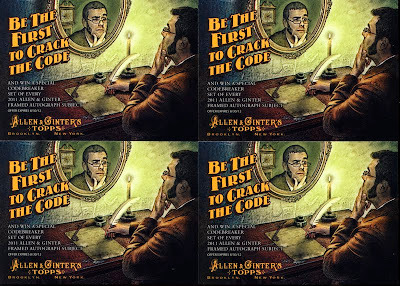 Here are some crack the code cards. Look carefully! 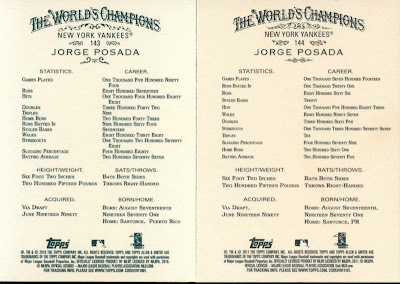 Part of the code is included on these versions of the base cards. And now for our three hits from the box. These are mini cards encased regular card sized housings. 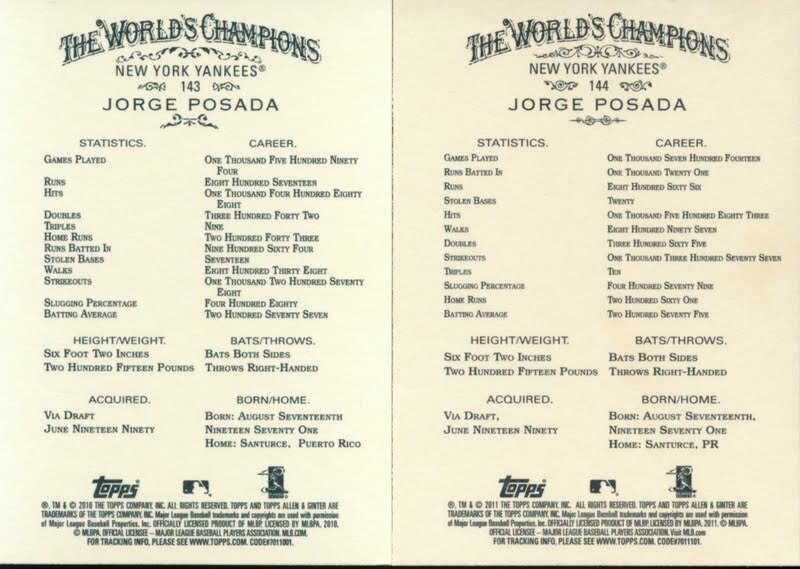 Here are the backs of the cards. There is room for them to move, these are not off-centered settings. The design departs a little from the classic look of the Allen & Ginter cards of 1880, the set on which these cards were originally based. Adding team logos, changes to bordering and color scheme work well, but no question the cards have a different feel from past years releases. 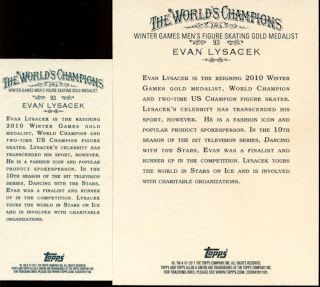 But most inserts feel consistent with past Ginter cards. 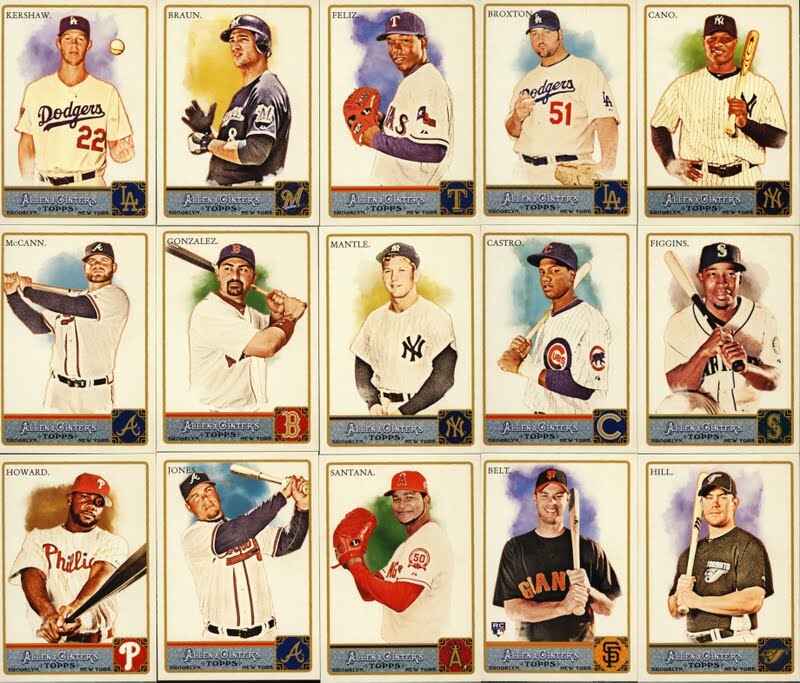 This is certainly the most variety you will find in any set, which is why collectors love it. 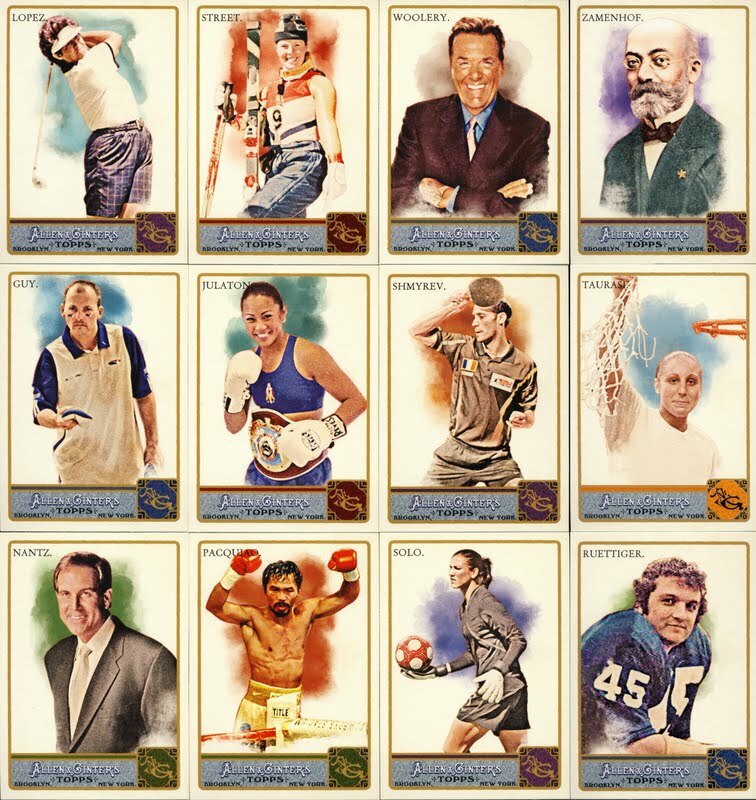 In the same pack of cards you can pull an Ichiro, Stan Lee, Wee Man, Rasputin, Florence Nightingale and Flatworms. Variety is what this set is about. The Hometown Heroes are a really nice set of inserts. 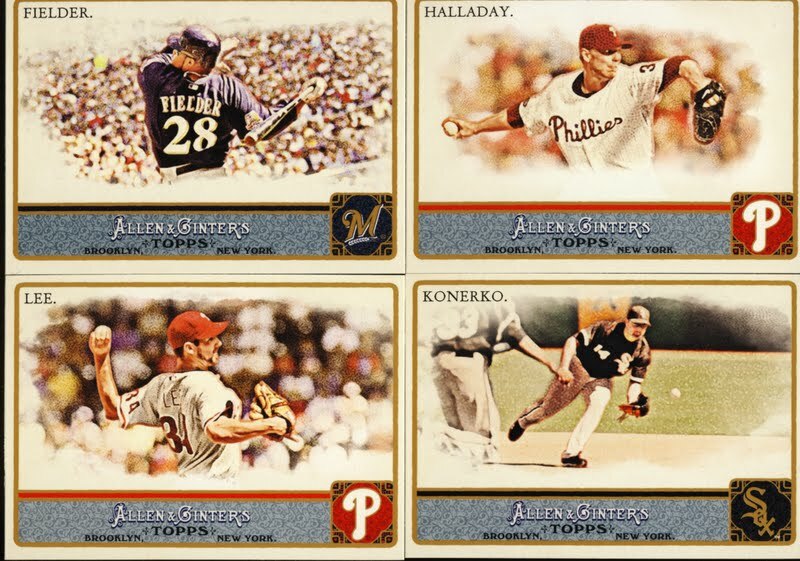 There is a deep checklist for the relic cards that come in jersey and bat varieties. They can be found at a rate of 1 in every 10 packs. For comparison, most of the specialty minis are harder to pull, at a rate of 1 in every 12 packs. The hits are nicely designed. 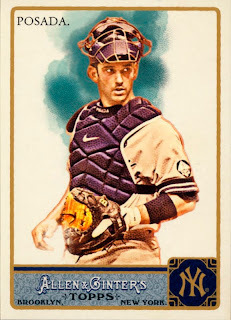 Mini Autos, rip cards an booklets are the prized hits here but a tough pull. Allen and Ginter has always been kind of a mixed bag, going all the way back to the original 1880 release. Most love it. It is not uncommon to chase the master set on this one. 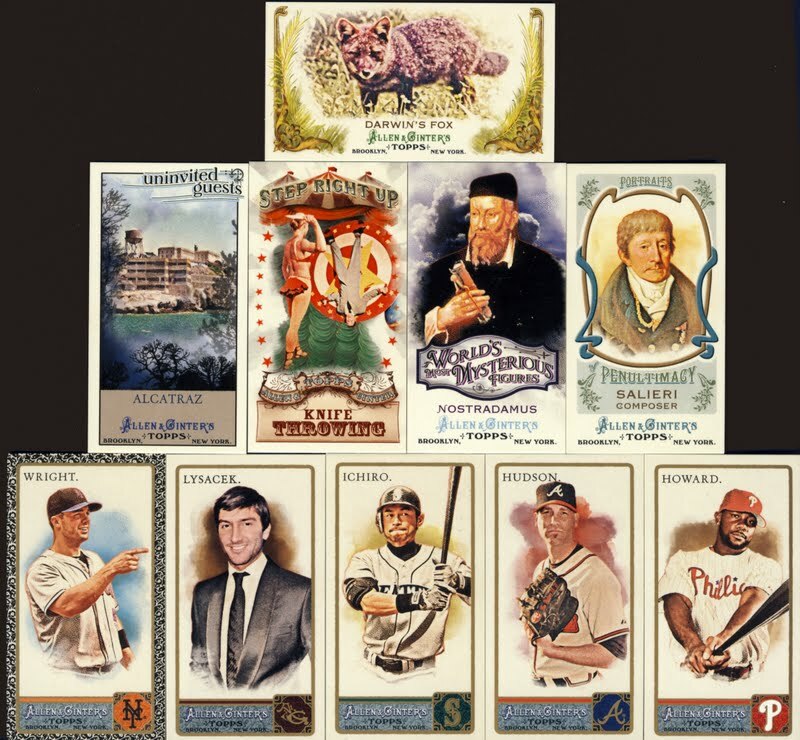 But even those who are not as inspired by Ginter will probably collect a little of it in private, picking up their favorites, making sure not to let on about their guilty pleasure. 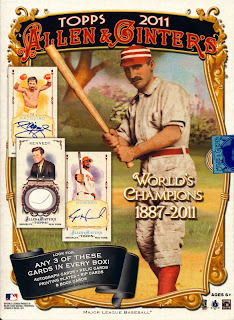 2011 Topps Allen & Ginter Baseball provides the most variety out there for set builders. Those have got to be the worst three "hits" ever assembled in one box. If one buys a box for the "hits" one might be screaming bloody murder with a box like this. Brutal. Does that Wright black boarder happen to be for trade?